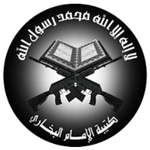 The Imam Bukhari Battalion is a jihadi group of Uzbek fighters operating in Aleppo province. Like other foreign fighter groups in Syria, it aims for the complete rule of Shari'a (Islamic law). In November 2014 the group declared its allegiance to the Taliban.